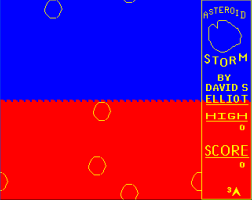 This company was one of the most prolific on the whole BBC Micro scene, they did loads of games, not quite as many as Superior or Acornsoft, but definitly nearly as many. They started out trading under the name 'Program Power', but later changed to Micro Power, using the former name as a software mark. The release of the game Doctor Who and The Mines of Terror put a large strain on their resources, and this was probably the beginning of the end, they push o n though, and released some titles like Imogen after that, then they did a few games (one being a 3d Chess game if I recall correctly) on the Archimedes, before going bust about 3 years ago. I have also been told that there is a Micro Power shop somewhere in Leeds! A pretty poor attempt at a reconstruction of the original 'Adventure' which is now probably world famous. 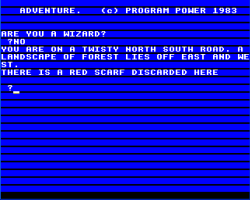 It isn't particularly faithful to the mainframe version, and it does play very well, you'd be much better off with the Level 9 Middle Earth trilogy. 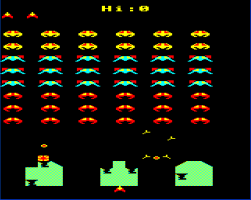 A fairly bad attempt at a Space Invaders game, it looks ok, but the animation is terrible, the aliens just move in blocks rather than smoothly across the screen, and it makes it look awful. Seeing as most people probably judged a company by its Space Invaders clone, this wasn't a good sign, although they obviously went on to better things! 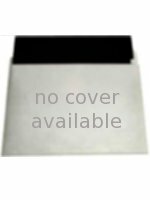 Re-release of the Amcom game. 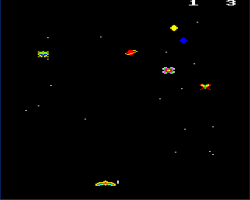 The MicroPower version of Asteroids, I think this is quite a good version, although Acornsoft Meteors rules in my opinion. The only bad thing about this version is that the rocks are strangely all circular! Almost everything else is good in this version, but Meteors just shaves it in this case. 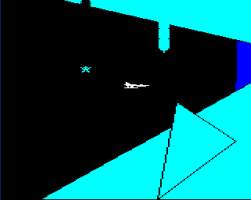 Simple and very early 1982 game where you have to navigate through caves dodging enemies in order to get to the other side of the screen. It isn't very taxing and shows that it was probably designed for the BBC Model A, its very simplistic indeed. This is a bit of a rip off of Dogfight, and in my opinion it isn't as good as the aformentioned game. 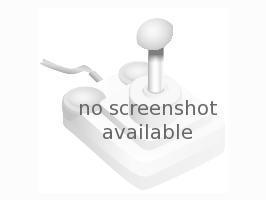 You are in control of a bi-plane and have to shoot down the bi-plane of your friend (it is 2 player only), whoever wins the most battles wins the game. 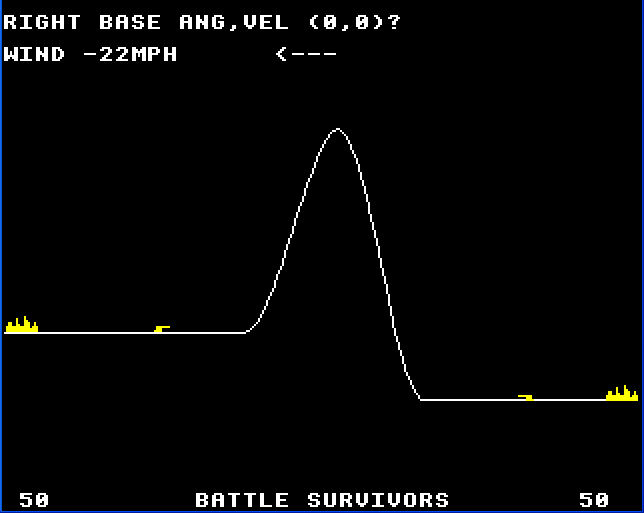 The graphics are nice and the game is very playable, but the sprites aren't as nice and big as they are in Dogfight. It is interesting, because the box says "Bandits at 3 o'clock", but in the game, it says "Welcome to Dogfight" - last minute change? 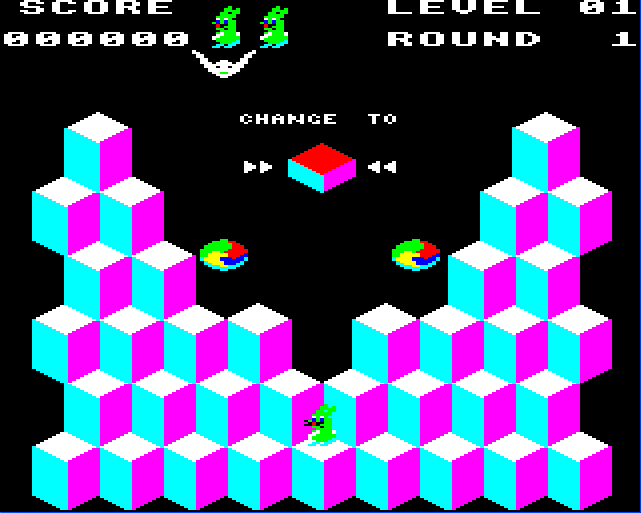 The game that lanuched a thousand clones, Q-Bert, and this is one of them. I wouldn't have thought that it was a particularly hard game to clone, and this does nothing to show any originality. It is quite good for a while, but there are just so many other clones exactly the same. 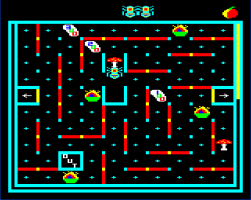 A nice adjustment to the standard Pac Man style game, this one has you as a Bee, running around a maze to collect all the pills. The added thing is that you can change the direction of the walls, to block off the emeies which chase you around. This is a great idea, and makes it stand out from all those other clones. The BEST game that Micro Power ever created, this one is a true classic. It is basically a huge graphical adventure, with puzzles galore. You should definitly play this, it is huge, and could take ages to complete. One moan that a lot of people have is that it is played over a very small playing arena, and the scenary doesn't change very much.